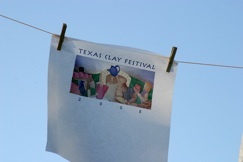 The 20th annual Texas Clay Festival, founded by a core group of potters including Jan and Jon Brieger, will be held in the Gruene Historical District of New Braunfels. Featuring the work of over 60 Texas potters and clay artists. Visit beautiful Blanco in the heart of the Texas Hill Country for the 5th annual Festival. A Lavender Market will be held on the grounds of the Old Blanco County Courthouse, right across the street from Brieger Pottery. The market will feature arts, crafts and local lavender products. Tour many of the local lavender farms where you will experience the beauty of lavender in the fields and the unique vision of each farmer. 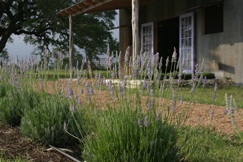 Texas’s first commercial lavender farm, opened its doors to the public in 2001. 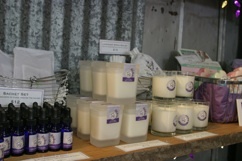 Owned by Tasha Brieger, Hill Country Lavender offers more than 70 lavender related products. During the blooming season, visitors are invited to enjoy panoramic views, beautiful live oaks, and more than 2,500 plants spread in neat rows across a two and a half-acre hilltop. 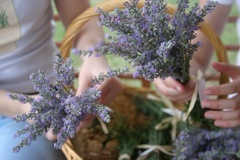 While at our field, visitors can cut their own lavender and enjoy a visit to the farm store snuggled into the lavender field and stocked with the full line of products.